HEPA Filters stands for High Efficiency Particulate Air,most of the HEPA filters as final filters are usually installed at the end of the air conditioning system as the last protection. 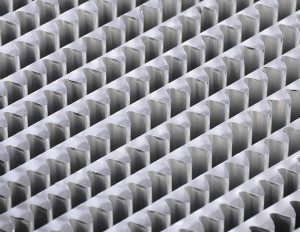 HEPA filters are important parts of air purifiers at the same time. 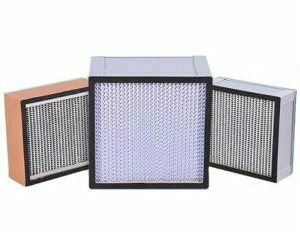 Separate HEPA filters are one kind of HEPA filters in our factory,it also called deep pleated HEPA filters,they are the most reliable HEPA filters, they can provide large air flow rate and keep low resistance at the same time, double metal mesh grille protect filter media from damage during transportation or installation. Our separate HEPA filters are glued by polyurethane all around the filter frame slot to help filter media connect with frame and the same time avoid leakage. We introduced the most advanced automatic production line for air filter, mixing glue machine, professional filter production equipment which make our HEPA filters competitive, in terms of test equipment using the world first-class brand of laser high efficiency air filter of dust particle counter scan test bench. services ar available,something like the construction design for HEPA filters and air flow rate and pressure drop test and so on. Special requests or customized sizes are available.